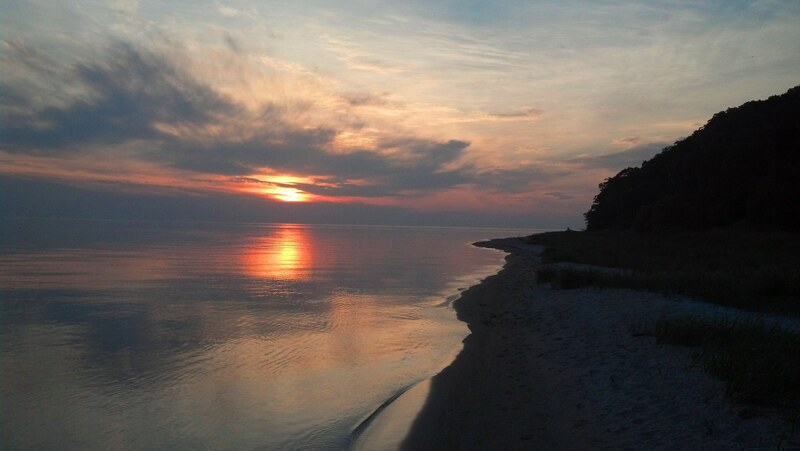 With average temps in the upper 70s and low 80s, ample amounts of sunshine, and an abundance of freshwater coastline, you can’t go wrong visiting Michigan in the summertime. It’s my favorite season, favorite place to explore, and (if you aren’t lucky enough to live here) makes a great vacation destination. 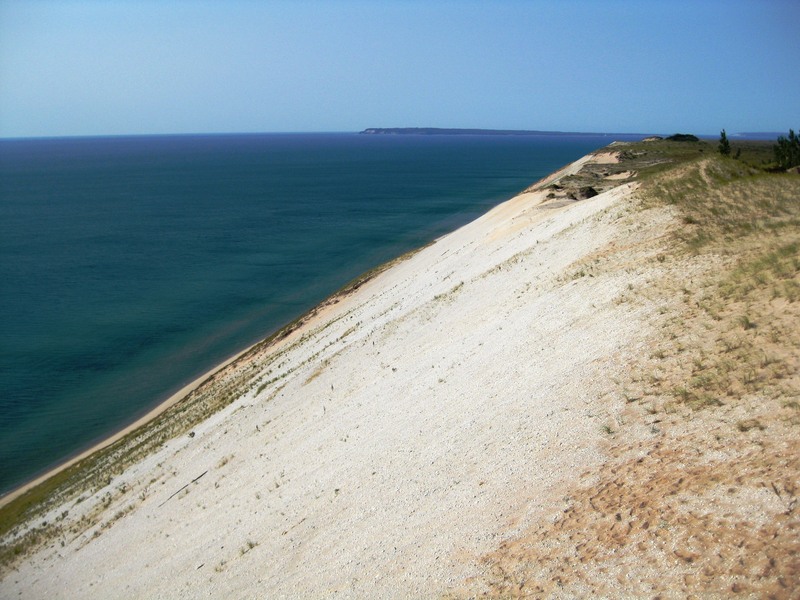 With our 3,000+ miles of coastline, Michigan has many, many islands only a short ferry or plane ride away from the mainland. Last summer, I explored three of the more remote ones, and had a great time on each trip. To celebrate my 27th birthday, we hopped on a ferry and went to North Manitou Island, off the coast of Sleeping Bear Dunes. We were there for 3 days and 2 nights, and backpacked the perimeter trail. 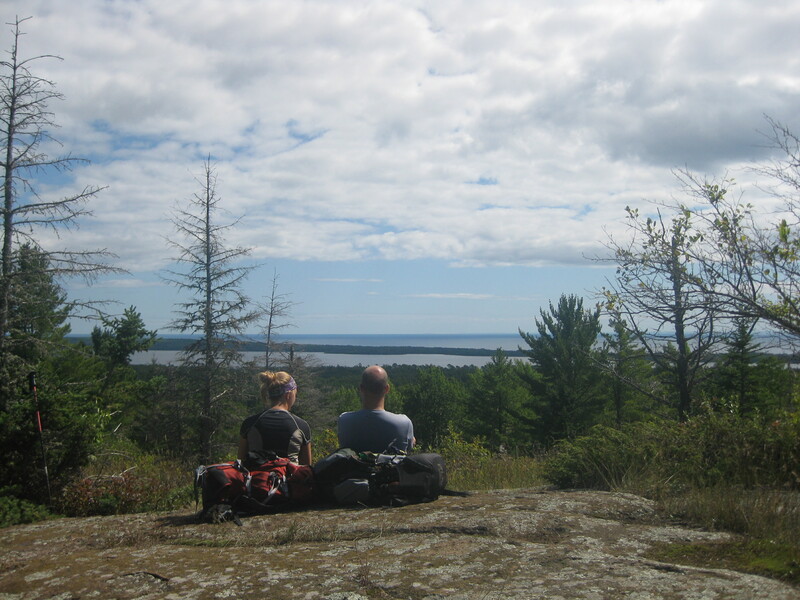 It’s a great first backpacking trip to test your mettle and/or get your body in shape for a longer trip. The views from the West side of the island can’t be beat! Next time we go, we’re making a beeline westward, hanging our hammocks, and staying put for the weekend. Later in the summer, I explored Beaver Island with two dear friends. 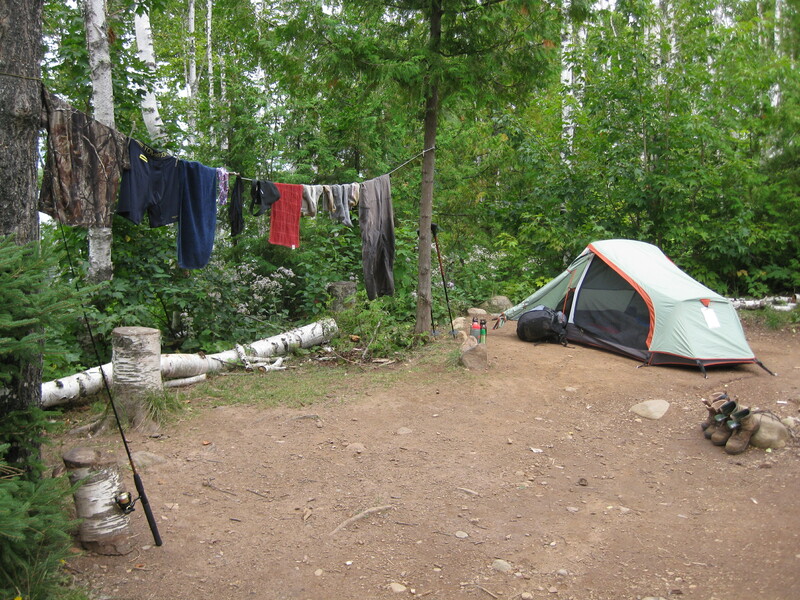 We stayed at Saint James Campground, only a mile walk from the ferry. 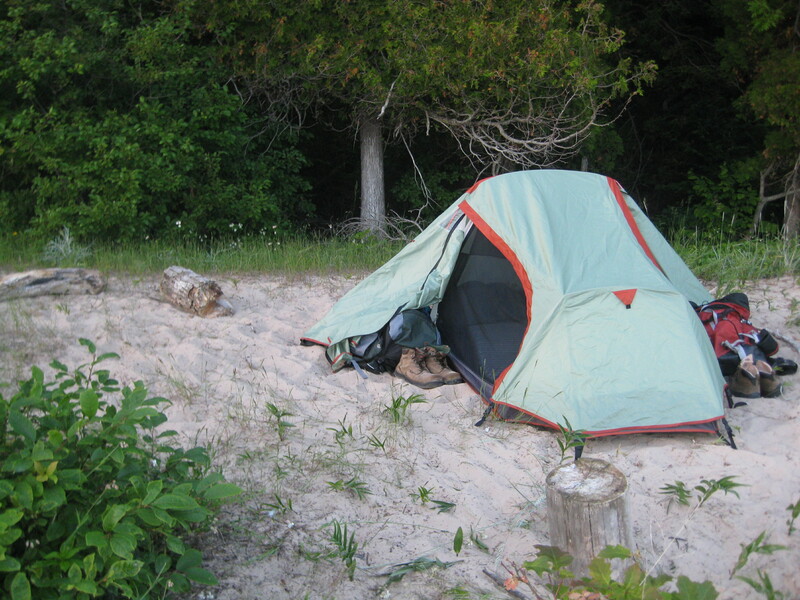 If camping isn’t your thing, there are a bunch of hotels and vacation rentals on the island. Several homes on airbnb.com look great! St. James, the town on the North side of the island where the ferry stops, is very walk-able or bike-able. Alternatively, there’s public transportation and cars available for rental. Pay attention to hours of operations–they’re limited! If you’d rather have your own wheels, the ferry will haul your car for a hefty fee. One afternoon, we rented bikes (with baskets!). 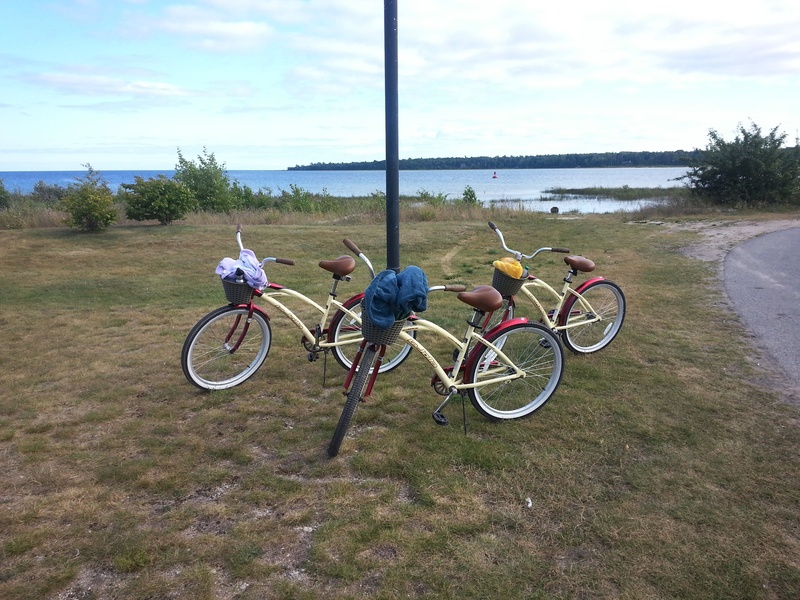 We pedaled to the beach to sunbathe, did a loop back to town, and then out to the lighthouse. Close to the end of summer, Bob and I took a week off, packed our hiking backpacks, and flew (on a sea plane!) 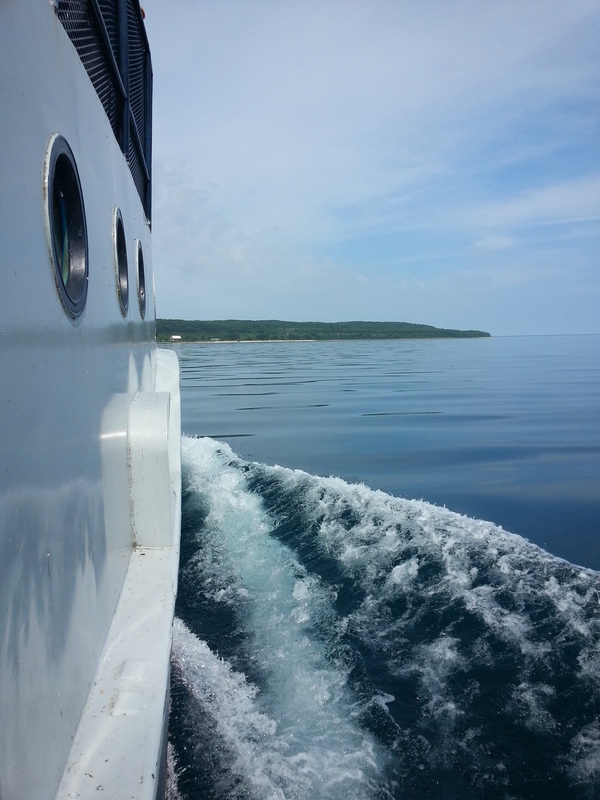 to Isle Royale. What an amazing trip! After 7 days of backpacking our way from West to East, we arrived in Rock Harbor, and spent the night at Rock Harbor Lodge. If possible, get a room with a killer view of the water and a balcony. You won’t get bored. 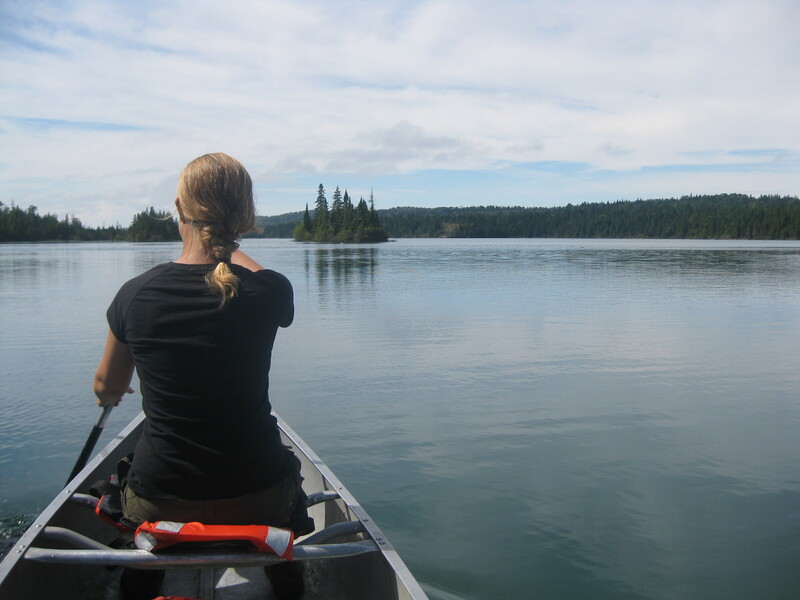 There are plenty of hiking routes around Rock Harbor, kayaks and canoes available for rent, and guided tours to different places near Rock Harbor. Have you ever explored an island? Where did you go and what did you do? 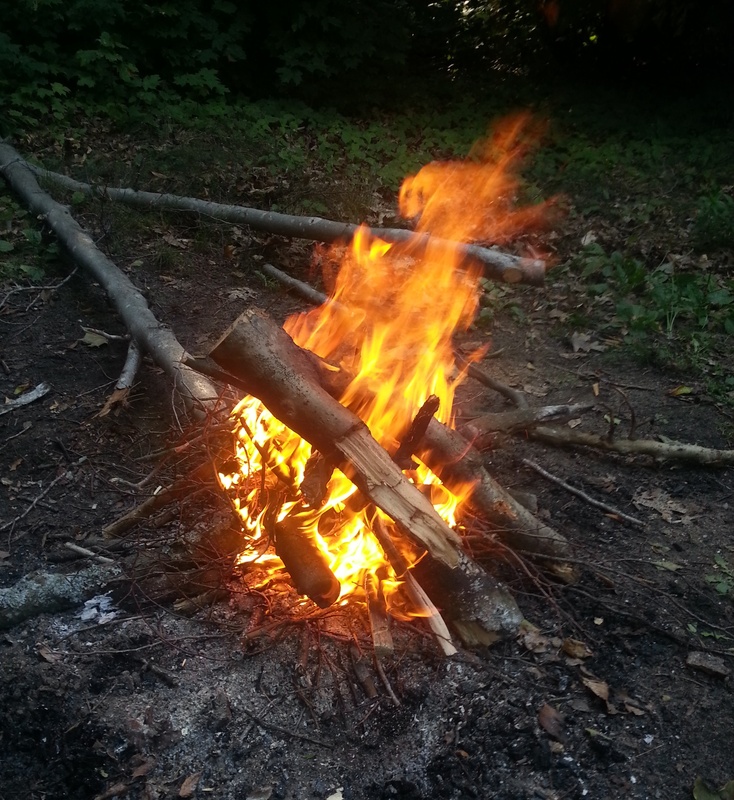 If you’re interested….Backpacking in Virginia and the Smokies. 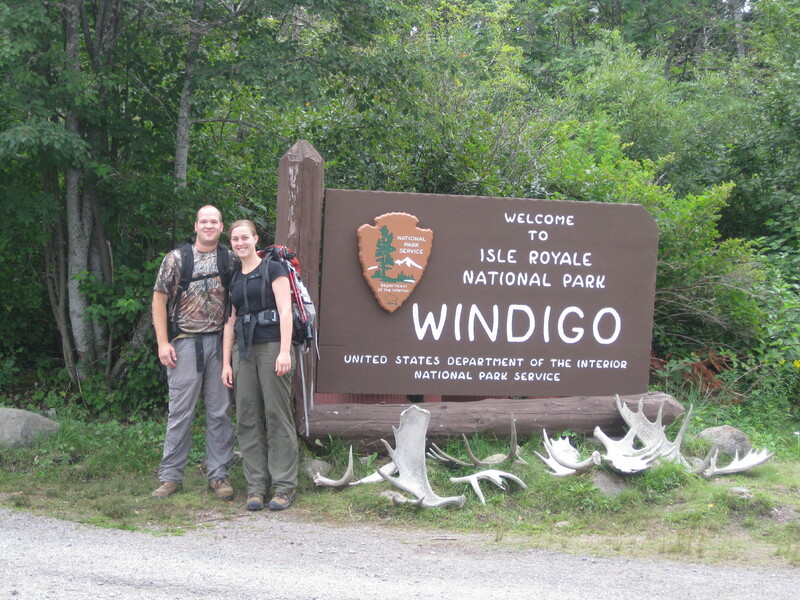 The week before Labor Day, Bob and I packed our backpacks, and drove to the UP to begin our week-long adventure on Isle Royale National Park. 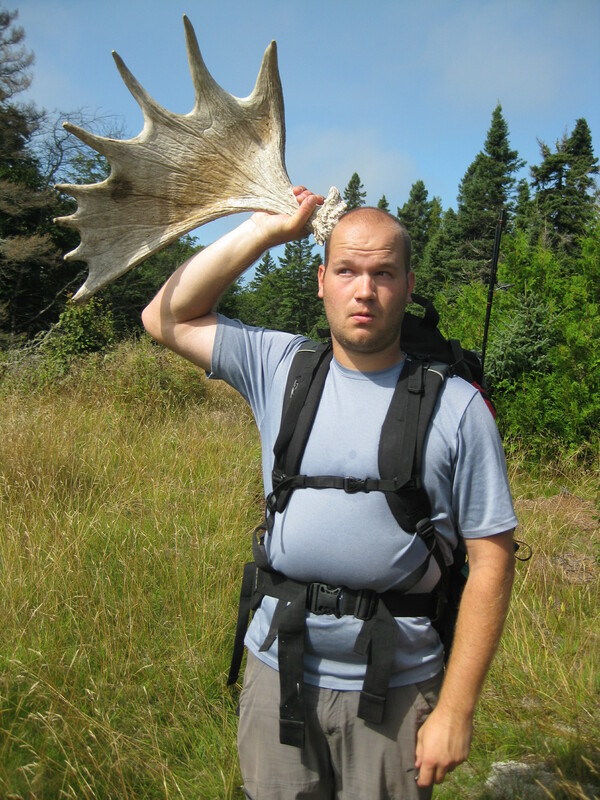 Bob has been to Isle Royale before, and, since then, has talked about a return trip to hike all the way across the island. This was our year! 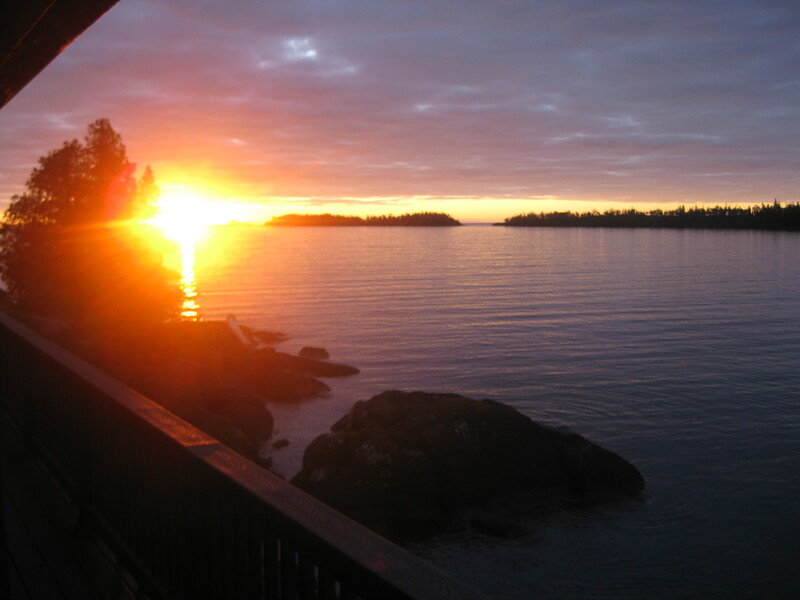 We splurged on two things: sea plane fares to the island and one night in the lodge at the end of our trip. Both were very worth it! The bad news: the first couple of days were really hard. The trail was not often traveled, and it made for difficult hiking. On top of that, my body wasn’t used to hauling an additional 35 pounds. As such, my knee was complaining with every step, and my feet promptly produced 4 blisters. The good news: life was grand after those first two days. 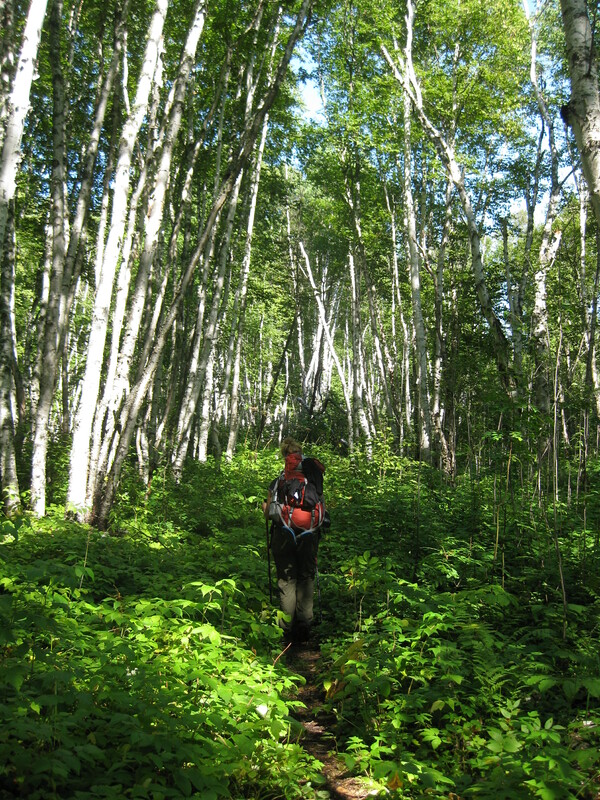 We were on the Greenstone Trail, which follows the ridge up the center of the island. The Greenstone is the most traveled trail on the island, so hiking wasn’t as challenging (still challenging enough, don’t misunderstand!). Additionally, by then, my muscles and joints started to adjust. Plus, the views! Trees and lakes for days. One of us rolled sleeping bags and sleeping pads, and the other got breakfast out and started boiling water for coffee. Eat breakfast (oatmeal and brown sugar). Treat blisters. Put on hiking clothes and boots. Filter water at whichever lake we were staying near. Return to camp. Break down tent. Pack backpacks. Hike at least half of our day’s miles. Stop for lunch (tuna and crackers). Kick off the boots and let the feet breathe! Hike the rest of the way. Arrive at camp. Find a site and kick off the boots promptly! Set up tent. Gather water filter supplies, soap, and camp clothes. 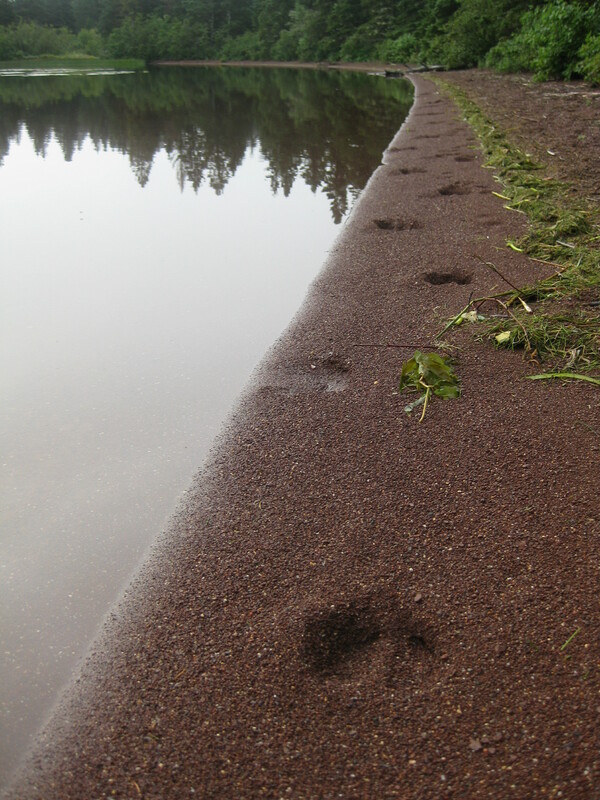 Walk down to whichever lake we were at for the night. Filter water, go for a dip to cool off and wash up. Put on camp clothes. Return to camp. Make dinner. Relax. Bob often fished in the evenings, and I read. We played a few games of cribbage (most of which he won). 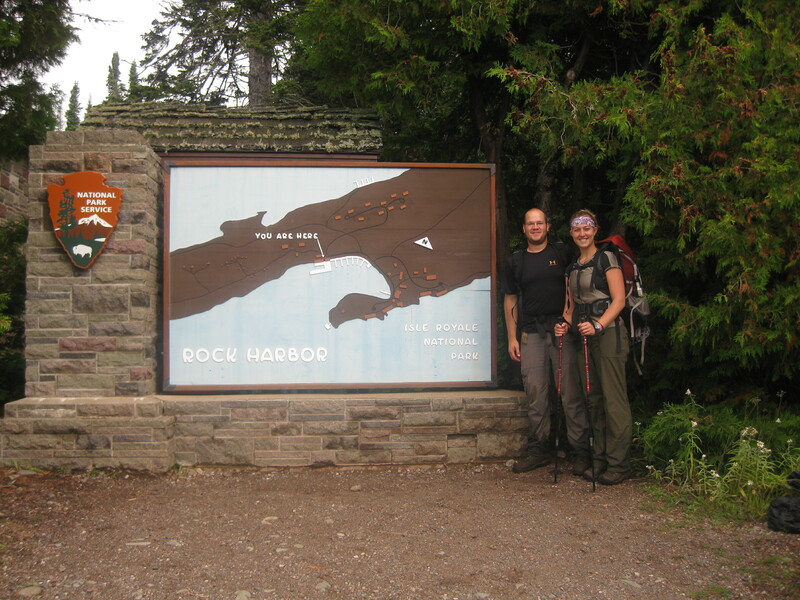 When we arrived at Rock Harbor, we had hiked a total of 62.6 miles over 6.5 days on the trail. We spent one more night on the island, staying in the Rock Harbor Lodge. We enjoyed eating real food (burgers! fries! beer! ), took showers, washed our clothes, and slept in a real bed with real pillows. Totally worth it. 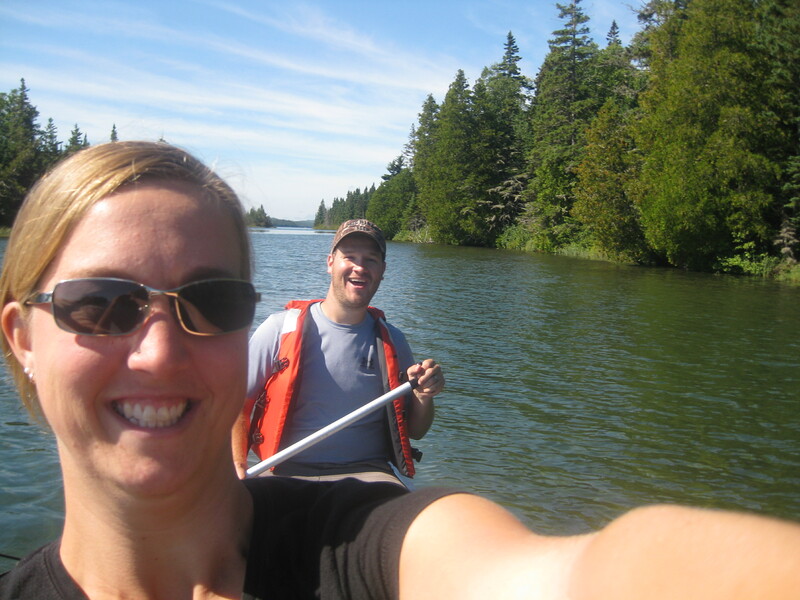 The next day, we had some time before our plane arrived, so we enjoyed a breakfast that wasn’t oatmeal, and went for a short canoe trip. This trip surprised me by how wonderful it was. 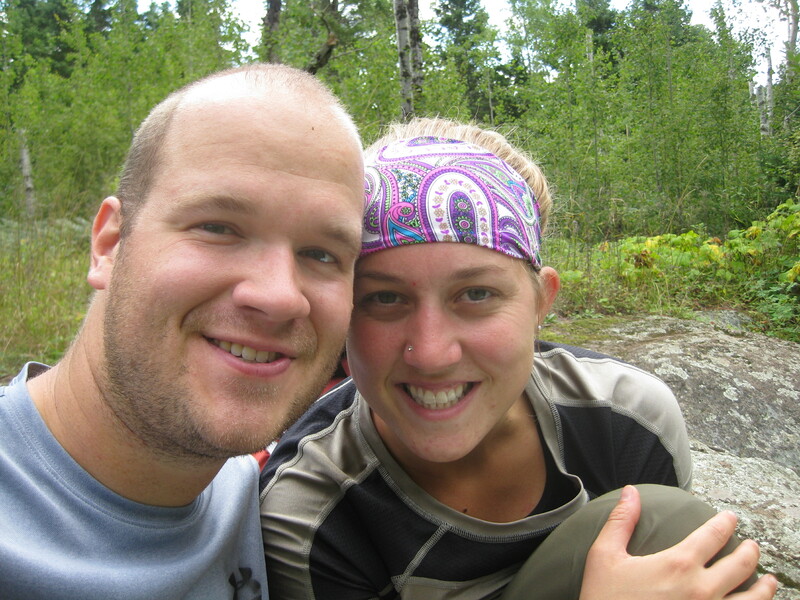 We thoroughly enjoyed adventuring together and spending a week unplugged. It was a challenge, to be sure, but completely worth it. I wouldn’t trade it for a thing! 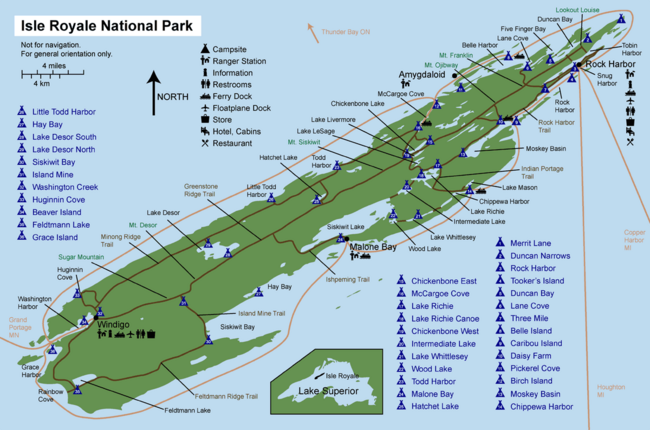 If you stumbled across this post because you are doing research for an upcoming trip to Isle Royale, feel free to contact me. I would love to share more in depth regarding our specific itinerary.